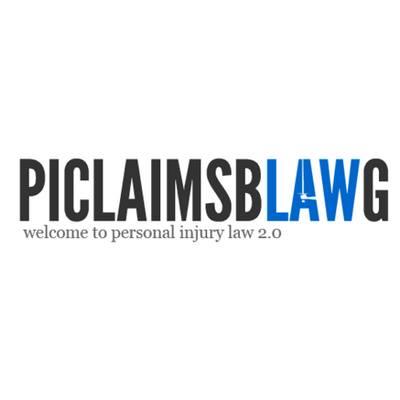 New contribution about your rights with accident claims cases from an injury lawyer in the US. If you’ve been injured as a result of someone else’s negligence, you should stand up for yourself and take the offending party to court. After all, you deserve a compensation not only for your injuries, but for your pain and suffering as well – in fact, you can even have some of your other costs reimbursed such as medical bills, travel expenses, etc. Since it’s hard to know everything about injury cases yourself (especially if you aren’t a lawyer), we’ve put together a list of 8 facts you need to keep in mind when dealing with one. 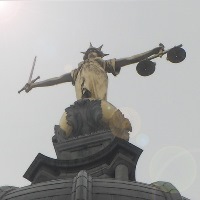 The recent statistics suggest that most injury cases are settled out of court. That way, both parties involved can save a lot of money and time. However, in some cases, settling out of court may not be in your best interest, because usually, you’re going to end up receiving less money by taking this route. It’s hard to make the judgment call and decide what is better on your own, so working with a qualified attorney will enable you to take advantage of their expertise to determine the most feasible option. Did you know that one can develop mental illnesses as a direct result of physical trauma? Mood disorders like depression and insomnia are likely to follow, and these are all serious medical conditions that should be treated as such. If you manage to prove this in court, you deserve some form of compensation for it as well. Of course, you’re going to require a professional opinion like the one only a psychiatrist can give in order to prove this in a court of law. Once you decide to settle outside of court, the settlement is final. This means you won’t be able to seek additional legal action against the offending party. This may be common knowledge, but it’s important to emphasize it, since this should be an important part of your decision-making process and determining whether settling out of court is within your best interest or not. Understandably, after sustaining a tough injury, taking care of your body is the first thing that’s on your mind, and rightfully so. But if you don’t file a claim soon enough, you may not get an opportunity to seek justice ever again. These deadlines can vary based on where you’re located, so it’s best to seek a qualified guidance. Additional information about what you need to do is available at BellLaw.com, but as always, feel free to do your own research. That’s great news! It means you won’t have to pay your lawyer on an hourly basis, which means no upfront costs. After the case is won, your lawyer will receive a fixed percentage of the winnings, and you can agree about the details upfront. Another benefit of this is the fact that many people can’t afford to be paying a lawyer, but in this case, they won’t have to unless the victory is secured, which means there’s little to no risk involved. All the trips to the hospital and rehabilitation facilities are unavoidably going to be costing you some money. However, by gathering all the necessary evidence in the form of transportation tickets and invoices, you can have some of these costs reimbursed. In some cases, your attorney can make an agreement with your doctor that any medical expenses are to be covered once the court has awarded you a compensation or after you’ve managed to settle out of court. Is your personal injury settlement subject to taxes? While this does depend on each specific case, the general answer is no, it is not. This means you won’t need to worry about having to pay local, state, or federal taxes. Since it’s possible to receive a compensation for lost wages, pain and suffering, medical bills, anxiety and suffering, etc., you might be wondering whether these forms of conversation are taxable as well. Again, the answer is no. However, there is one very specific example; if you’ve received a compensation for a breach of contract, you’re going to need to apply taxes. There’s another case where your compensation is subject to tax – punitive damages which could follow as a result of suing for personal damages. Finally, you need to keep in mind that lost wages received in an employment-related scenario are taxable as well. When settling out of court, most of the time, you’ll be receiving a lump sum payment, which is a one-time deal. However, in certain cases, it’s more beneficial to agree on a structured settlement. Simply put, a structured settlement equates to receiving multiple payments spread out over time (in most cases, on a monthly basis). You could even agree to have an amount settled right there and then, and the rest of the payment can come in form of smaller payments issued to you over time. This could be a couple of years or even your entire life. In case the injured party dies before receiving the total amount owed, the remainder is paid to the estate. The reason why you should aim for a structured settlement is that you can get more money this way. Moreover, this money is tax-free. More often than not, insurance companies are very much in favor of seeing a structured settlement agreement, because it ends up costing them much less. But again, you should be working with a lawyer who will help you decide on the most suitable course of action and advise you on the best type of settlement to shoot for. Did you learn anything new from these 8 facts about injury cases? This can be a tricky subject, so make sure to keep on absorbing all the knowledge you can come across. When in doubt, never proceed without consulting your attorney first.